The adult moths of this species have speckled brown forewings, each with several yellow spots and several black dots. 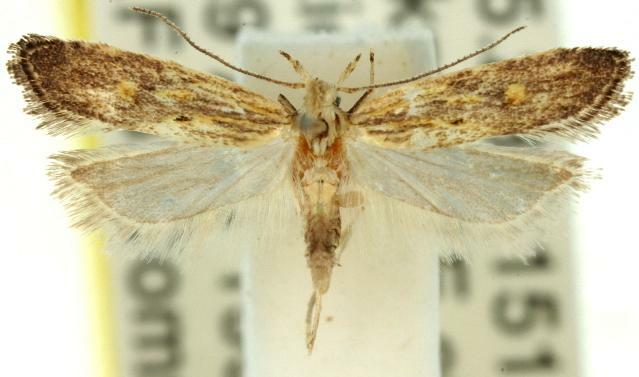 The hindwings are pale brown, and have slightly recurved margins. The wingspan is about 1.2 cms. Volume 31 (1919), pp. 150-151.